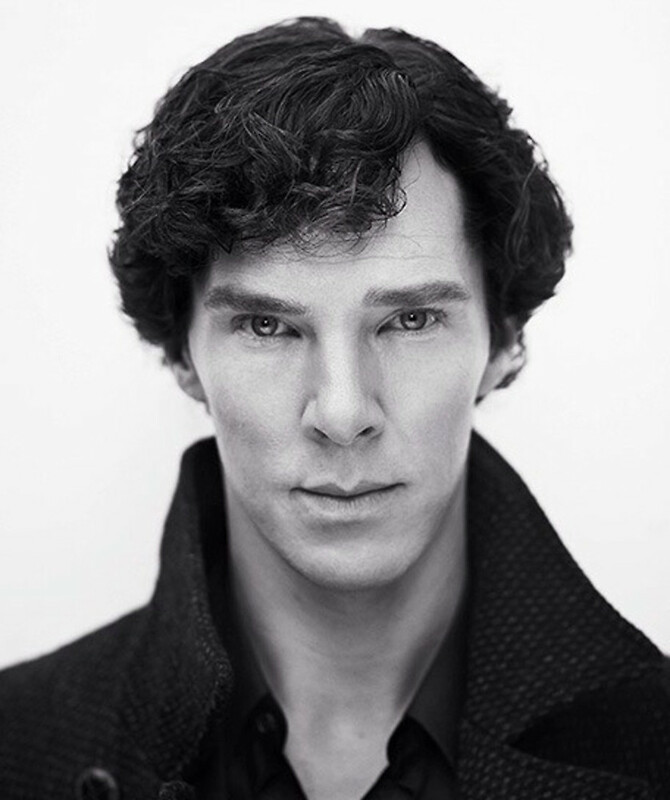 There have been a lot of Sherlocks on our movie and TV screens. In fact, some think Holmes is the most prolific character in the history of film. Today, Pamela from A Writer's Tales is here to compare two recent Sherlocks: Benedict Cumberbatch and Robert Downey, Jr. Who's the best? The debate rages! I didn't use to be a Sherlock fan. Then I saw Robert Downey Jr. as Sherlock and I was hooked. I read some, and then I watched the movie again, and I loved it! The Jude Law and this guy duo makes for a pretty dynamic Sherlock and Watson. I like how the two look on screen and their antics. It' hilarious to watch them argue, but you know that behind that there's a real friendship. Also, the way they portray the inner workings of Sherlock's mind during a fight, or just in general, when it's important, was one of the things that drew me in in the first place. Aaand the soundtrack suits the situations in the movie so well! Alright, alright. He's also a big jerk and the fact that Sherlock takes place in modern day London gives a lot of room to do that even better. Lots of situations. While Mr. Downey achieved arrogant through several facial expressions, Mr. Cumberbatch has a straight face for everyone and he's so freaking superior that it makes you wan to both hug him and punch him the face. Perfect. I don't feel the Sherlock-Watson chemistry here as strongly, but it's not missing either. There are plenty of awesome moments, and maybe it's just me and my Robert Downey Jr. + Jude Law obsession. 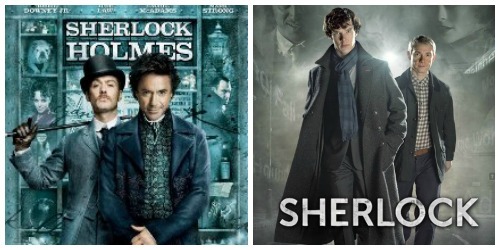 If you haven't noticed it by now, I really love Robert Downey Jr. :D I'd love it if they made another Sherlock movie. The last one had a very open ending and it'd be great if something was in the works! They will make a lot Sherlock fans super happy! What is your favorite screen Sherlock? Oh my god, those pics are amazing *o* These two men are amazing. 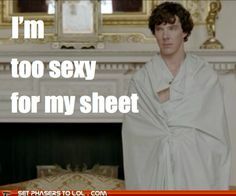 Personally, I'm a bigger fan of Benedict Cumberbatch! But, I won't pass up an opportunity to watch Robert Downey Jr. I just adore both! !